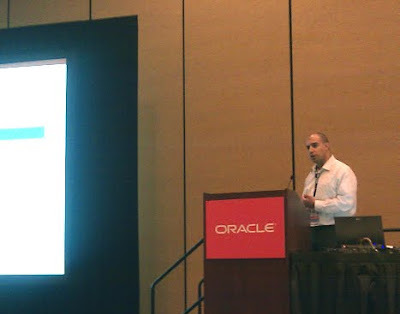 Thank you for those who attended my Oracle OpenWorld presentation titled Optimize Oracle Application Integration Architecture (AIA) for Communications on September 20, 2010. Over the next few weeks, I'll be publishing additional posts that discuss various topics that were presented. Oracle Communications is a suite of products designed specifically to address the needs of the telecommunications industry, providing capabilities and functionality such as provisioning, business support systems (BSS), supply chain management (SCM), point-of-sale (POS), customer relationship management (CRM), financials, and more. Oracle Application Integration Architecture (AIA) for Communications, built on Oracle SOA Suite 10g, is the primary integration layer that ties all these systems together. 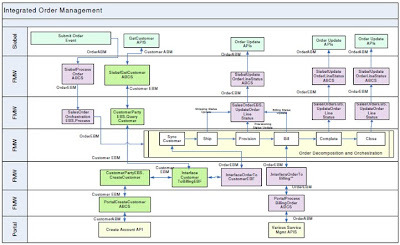 The figure below shows a single use case for Order Management. 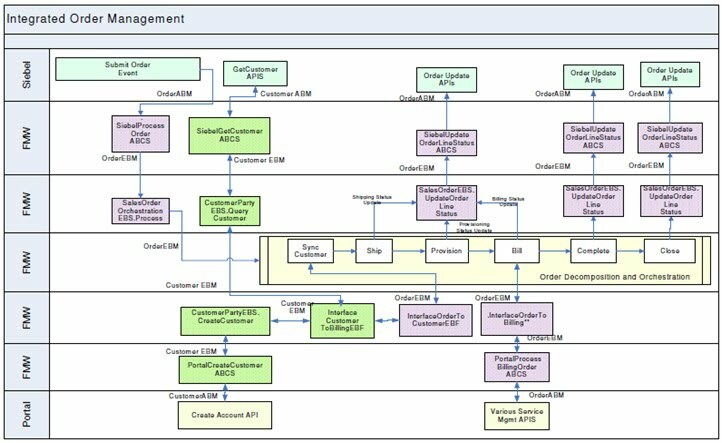 Do you really want to spend the time designing and writing this integration from scratch, when it is already developed and packaged by Oracle as one of the PIP flows? PIPs are developed using the AIA framework, are extensible, and fully supported by Oracle (i.e., bug fixes, upgrades, enhancements, etc.). You may want to take a serious look at PIPs for your integration needs. AIA for Communications 2.0 delivers 3 PIPs, but version 2.5 delivers 6 PIPs. Watch this blog for more posts surrounding this topic. We are planning to use AIA 2.5 for integrating the applications. I wanted to know about integrating POS with SiebelCRM. Can we use AIA for integrating POS with CRM.